In the battle of the smartphones, Samsung reigns supreme. Consumer Reports has released its smartphone ratings analysis, which had found Galaxy S8+ is the best handset on the market, followed shortly after by its smaller counterpart, the Galaxy S8. The report cited the devices’ ‘stunning camera, long battery life, and gorgeous display’ as what brought them to the top and beating its rival Apple’s iPhone 7 Plus, which placed fifth. The findings from Consumer Reports shows the Samsung Galaxy S8+ ranked as the top smartphone, closely followed by the Galaxy S8, Galaxy S7 Edge and LG G6. Samsung had released its long-awaited Galaxy S8 family a few months following its unforgettable Note 7 fiasco – hoping the smartphones would repair its tarnished name. And it seems that the Galaxy S8 and S8+ were in fact the South Korean firm’s saving grace, as the release from Consumer Reports deemed them ‘top dog’ in the industry. ‘If you want a stunning camera, long battery life, and gorgeous display in a water-resistant package, one of these could be the right phone for you,’ Jerry Beilinson withConsumer Reports shared. 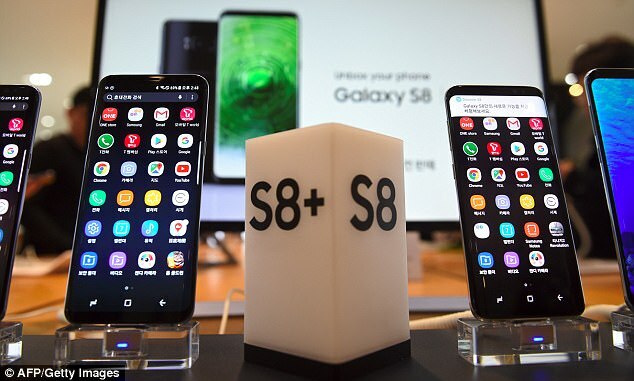 Although it may be hard for some users to believe Samsung was able to take the top spot, Beilinson has attributed the victory to the smartphone’s overhauled design. 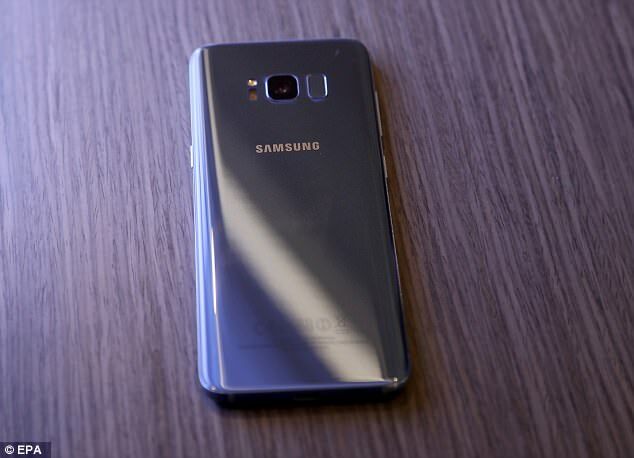 The Galaxy S8 duo are without bezels on the side – the each have thin ones located at the top and bottom. And although Samsung has been able to create a minimalist look, it is believed to still support a modern and elegant feel. Another important addition was increasing the size of the screen, but keeping sticking with the same-size device as previous models. The S8 and S8+ were also designed to be taller and narrower when held in portrait than previous variants – allowing for an easier hold when snapping a selfie. While typical smartphones have an aspect ratio of 16:9, the new Samsung handsets have an aspect ratio of 18.5:9.